Kim Stanley Robinson, Hugo- and Nebula-award winning author of The Mars Trilogy and the Science in The Capital Trilogy, will be the featured guest at an open talk show in Second Life next week . At noon Pacific Time on Saturday, January 17, Robinson will be featured at Sophrosyne’s Saturday Salon in the futuristic community of Extropia (http://extropiacore.net/) as part of an ongoing discussion series bringing authors including Charles Stross, Robert J. Sawyer, David Brin, and Catherine Asaro into Second Life. Robinson will appear as his avatar, Stan Shackleton, a coyote, in honor of the role played by the figure from Native American legend in his Mars novels. Robinson will discuss his just-completed new novel, the transformative politics of science and technology, and more, in response to audience questions. Discussion will take place in text chat. 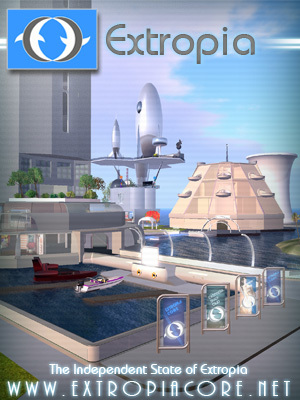 The Salon is open to anyone with a Second Life avatar, and can be reached by teleporting to The Nexus in Extropia Core within Second Life: (http://slurl.com/secondlife/Extropia%20Core/126/127/22/?title=Central%20Nexus%20at%20Extropia%20Core).